100 years of Dean Martin! 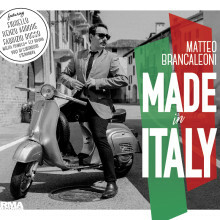 Made In Italy out of VINYL! “The Italian” with Fiorelo to Italy's Got Talent! Matthew tells Sinatra in "The Music Hall"
© 2004-2019 Matthew Brancaleoni. All Rights Reserved.